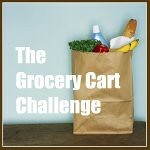 The Grocery Cart Challenge: Reader Question...Do You Know The Answer? Reader Question...Do You Know The Answer? 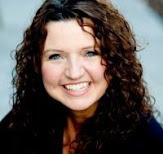 Keep up the great work with the blog! I love that reader tip regarding calculating whether toilet paper is a good price based on the price per square foot. I wonder if anyone knows what a good price is for rolls of paper towel or garbage bags. I never know if I'm getting a good deal! Anyone have some great tips on this subject? I haven't bought paper towels for years so I don't have a clue on that one. Any takers? I always figure that if I can get 4 regular rolls of toilet paper for 99 cents or less, I am getting a good deal. I just do the math with the "double" rolls. As far as paper towels, it's about the same. 99 cents for Bounty or Brawny per roll. I always buy rolls with a big 1000 on them ( 1000 sheets i.e.) -they last much longer. And if you buy a store brand , you save a lot. Just try. Can you tell me where the reader comment on the toilet paper? paper towels..I use mostly rags or dishclothes, newspapers for windows, but when I do buy paper towels for work( I am a personal chef) I buy the ones that are select a size for the best price per sheet.My girls all buy the cheapest there is without any designs on it.They all have 4-7 kids. This is such a great question!!! We bought the cheaper ones (as the bf did the purchasing and he doesnt read labels very well), and we seriously are changing it once a day which is highly unacceptable! The best sucess I've had was when I got the Buy Two for 13 dollars for the 12 pack Big Rolls. Those suckers lasted FOREVER and we super thick and soft so you used a lot less. For garbage bags I never pay more than 10 cents per bag so if there are 85 bags in the box, I try to keep it below $8.50 with coupons and sales. I do that kind of shopping (garbage bags, TP and paper towels) at Costco. Though I've realized that I was using the paper towels mostly for wiping the kids face after eating and baby wipes are much cheaper so I've stopped buying a dozen rolls at a time and have started picking up three packs of the select a size ones. I try to get them on sale but I can't quote a price since it's been a while since I've bought them. Costco TP (Kirkland brand)really is the best for the price. And I think when it comes to TP use only the best. I prefer Cottonelle tp. I usually consider the double rolls and feel that I can tolerate any price that is below $.50 a double roll. Of course, the lower the better, but that's my cutoff. We use the 1000 sheet rolls; my 6 kids and husband use the same number of sheets even if it is the two ply. I look for the 1000 sheet rolls to be $.50 or less. You can find this price every couple months at CVS or Walgreen's. We STOCK up at that price. I find that Scott T.P. ends up being the least expensive for us. I have bought others on good sales, but they don't last as long. Scott is single ply and most others are double.